Based in Romsley in North Worcestershire, we are part of the world's largest youth organisation with 600,000 members in the UK and 40 million in over 200 countries. All Leaders and supporters are voluntary and receive no payment whatsoever. Behind the scenes there is a team of parents and friends helping to provide what the Group needs to exist & flourish. We’re fortunate to have our own top quality Scout Centre for meetings and activities. We also hire out the Centre to other organisations and individuals for parties, dances & functions. The Scout Centre is completely self-funding. This means that all our fundraising goes towards activities for the young people. 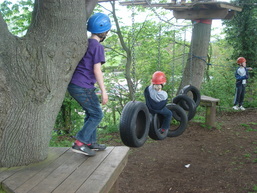 We run our own minibus, camping equipment, canoes, games and activity equipment. We usually hold two fund-raising activities a year, a Summer Fayre and Christmas Grotto. We also hold family fun events such as a Quiz Night, Barbecue and Parents Open Night. We have a Group Executive Committee that organises these events and supports the Scout Group. The Group Committee comprises of parents, leaders and friends of the Scout Group. All of this helps us provide top quality Scouting for young people. We ask parents to help us to achieve this – any time and help you can give us will be appreciated. We have a subscription of £36 per term. This goes towards the costs of meetings - badges, games, refreshments, handicrafts, and so on. We also pay an annual Membership Fee to the Scout Association out of this, currently £41 for each youngster every year. We hold 2 annual fund-raising events to subsidise our activities and keep the cost down for parents. We’re proud of our Scout Group and welcome everyone to join in our success.